Proper installation is the KEY to making your baby's world safer. 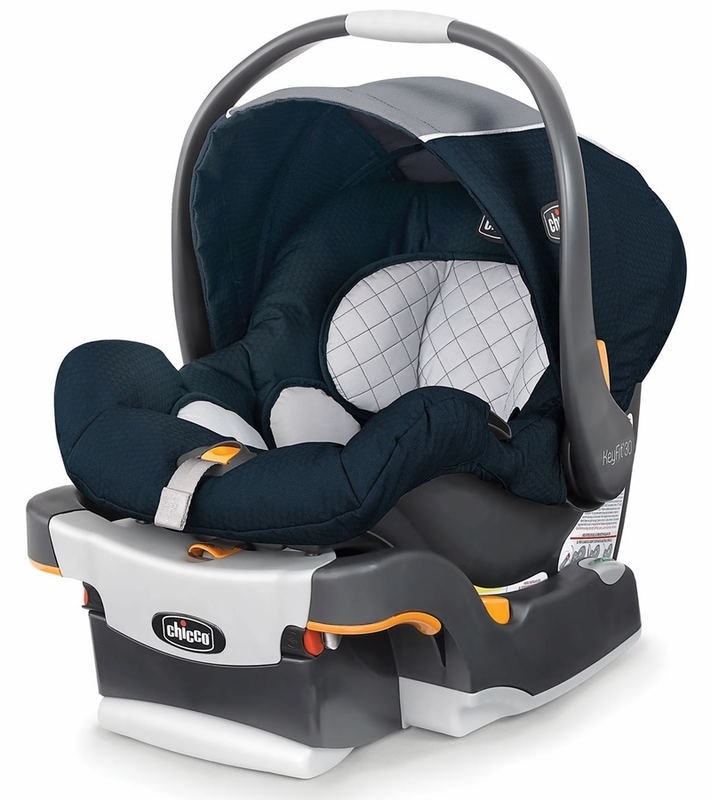 #1-Rated Chicco KeyFit� 30 is the easiest car seat to install simply, accurately and securely. Every time. ReclineSure� Spring-Loaded Leveling Foot adjusts to your vehicle�s seat angle. RideRight� Bubble-level Indicators show when a proper base angle has been achieved, and to secure the base, SuperCinch� One-pull LATCH Tightener uses force-multiplying technology to make a tight, secure fit with a fraction of the effort! Lined with energy-absorbing foam, the KeyFit� 30 is equipped with a five-point harness. Quickly and easily adjust the harness for an accurate fit, using the one-pull harness adjustment. For smaller babies (4-11 lbs), an ergonomic infant insert provides extra support and helps create a snug and secure fit on baby�s first trips in the car. Strong and refined, the Orion� fashion combines classic neutrals for a timeless combination that will tastefully suit both your indoor and outdoor lifestyles. A luxuriously woven charcoal grey fabric is combined with jet black and accented with a glimmer of silver trim for an elegant, every-day look. Removable padded infant insert for babies 4-11 lbs. Weight without Base: 9.6 lbs. I love this car seat!! It�€™s lightweight and easy to clean and so adorable! Love the polka dot pattern. A Keyfit has many useful features but I really love the fabric on this model. The Oxford is a beautiful navy with a contrasting almost denim colored stripe. If you are looking for something other than the black family of fabrics, think about the Oxford color! First of all this is so soooo easy to install into your car! And it is fairly lightweight. It seemed to be pretty comfy for my baby. Only downfall is it made my son sweat when it was hot. But 10 out of 10!! ProsEasy install, easy to remove the seat, easy to remove the fabric. ConsNot great airflow in the seat makes my baby sweat. This car seat is great. I haven't used it yet as baby isn't here, but we tried installing it on both cars (Mazda3 and Fiat 500E). I'm impressed that it fits at all in the 500E, although the front passenger seat won't be usable if you have this in the back seat. The seat itself is super plush and the base is super easy to install in the cars. I love that the seat clicks in and out of the base so easily -- super convenient. Can't wait to use it! ProsVery plush and easy to use. ConsThere are so many warning stickers all over the place. Takes away from the aesthetic of the car seat. Needed a infant seat for upcoming baby. Was able to take advantage of the sale and the prices couldn't be beat. Ordered and got the seat within 3 days, which was surprisingly quick! Highly recommend! Looks great and is very easy to install. Installed car seat and was very easy to install and looks great can't wait to try it out soon. These car seats are perfect!. They are heavy duty and seem to have been made with safety in mind. Our baby is due in April, so we haven't used this yet, but it appears to word great. We've tried out a few features already to make sure it's working. So far so good! My granddaughter and I were in an auto accident where my vehicle flipped over. She was secured in this seat and other than being scared to death from being upside-down she was perfectly safe. If I could give this seat a million stars I would. I truely feel it saved her life. This was the second Chicco infant car seat we've bought. The first one was purchased in 2010 lasted through 3 baby boys until it expired. It was a no-brainer that we'd be purchasing another one for our little girl. This car seat has been so easy to use and install. We love Chicco products! I ordered this on Saturday and received it by Tuesday or Wednesday. We have a while until our due date but it was nice to have such prompt shipping. It was already assembled and in perfect condition. exactly what i was looking for. good sun protection. I bought this car seat for my first baby. 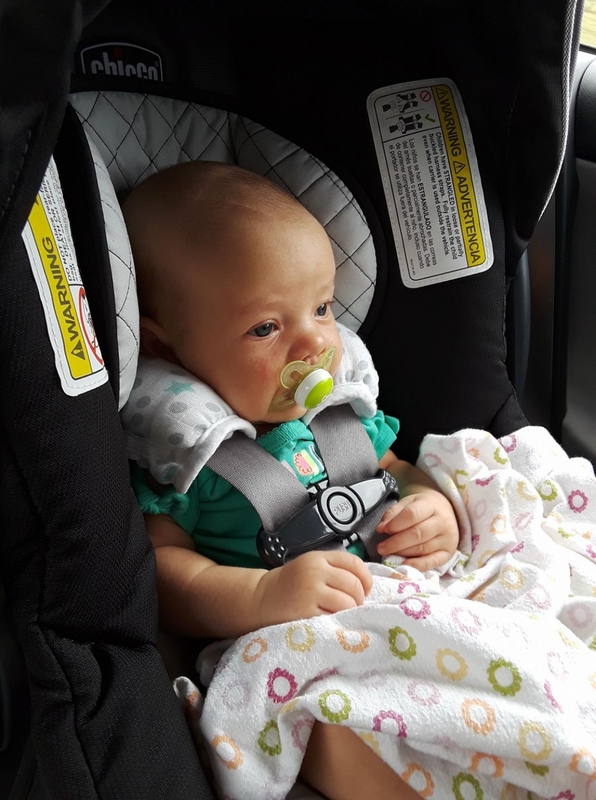 It took me a long time to decide on a carseat and we finally decided on the chicco keyfit 30 (surge). When I received it we realized it was perfect. I wanted something easy to install and comfortable. Once baby arrived he loved it there was no issues with sweating which I was worried about. The best part was how easy it was to clean and wash. It was used for his first year of life and the car seat is still very strong and was passed down to another baby who used it for another year. I'm pretty sure we could use it again but with the new seats available im interested in finding something different for our baby coming soon. I love chicco and so happy with our purchase. Love this car seat! Highly recommend! We have this car seat for our third baby. We have tried several brands of infant car seats in the past with our older children and nothing compares to this car seat. The straps are so easy to loosen to Get baby out and tighten when baby is in. The canopy is great unlike a lot of other brands. The material is so nice! We love the padded infant insert. Our little seems to be comfy in it. Installing the base is so easy. Love it so much and highly recommend it to anyone!! The car seat itself is very nice. You can tell it's a good quality seat and the padding hold the baby in a comfortable way. The only thing Is the canopy is terrible. It will not stay closed. Every time we close it, it slowly opens back up. This is very inconvenient, specially when you are driving and the sun is in your baby's eyes and there is nothing you can do about it at the moment. We found Albee baby 3 years ago and couldn�€™t get over the prices. This Chicco car seat doesn�€™t disappoint. It is sleek and beyond easy to install. Can�€™t for for little man to get here so we can use it. I used this car seat with my second child. It was the best car seat that I ever had. It truly is good quality. Also, It has great features, and it is easy to install. The straps are not hard to adjust either. With my first child, I bough so many car seats, because I could not find one that met my expectations. Chicco certainly went above and beyond my expectations. I am expecting my third child, and I will most definitely be using Chicco. We really like our Chicco KeyFit 30. It is easy to install, get into and out of the car, and carry around with a baby. Couple of concerns, it doesn't grow to 30 lbs like it is rated for, our little guy outgrew it way before he reached max weight and we moved up to a convertible seat. Also as referenced in multiple reviews the sun shade needs an engineering review as it doesn't stay open and is not effective. Both our babies have been born in the winter so it hasn't been a deal breaker but if you are in a warm climate may be worth consideration. Pretty easy to disassemble and clean, except the straps do not remove completely and have to be hand washed. The cushions I usually just toss in the washer on a delicate cycle and so far mine have held up and clean up nicely. The color is not what I thought, so if you are concerned I would consider shopping in store so you can see it in person before you buy. I love that the bases are super easy to install and move car to car, the leveling mechanism is convenient and makes using this seat in various different vehicles a breeze. All in a good seat, but in order to get 5 stars I would address the sun shade and consider the colors available/descriptions. Wasn't too sure when ordering online but when it arrived it was perfect! Love the colors and of course the brand! I love the color! This car seat goes great with the Activ3 stroller. You can go anywhere with this pair! ProsColor! Goes with the Chicco Activ3 all terrain stroller! How many hours a day is recommend to use the keyfit 30 for 2 month old baby? Great carseat! I purchased it when my daughter tried to make her appearance at 28 weeks. She went full term and came out at 9 lbs. She loves this thing! Provides excellent cushion and it is easy to re-thread the harness as they grow. She has mad a mess in it once and breaking it down to wash was a breeze. Highly recommend! It fits comfortably in our 2015 Rav4 and Impreza. I just received the regatta color car seat in and it's definitely not navy. Mine is black. And it's not a color mistake it has the same design as regatta just isn't as navy as the picture appears. If I could provide pictures I would but the picture difference is very noticeable. Love the Chicco Keyfit 30! This is our 2nd chicco keyfit 30. We love how easy they are to use with the bases in the car, they look great, can last our child a long time and have really good safety ratings! ProsComfortable for baby, looks great, top rated in safety, goes up to 30 lbs, easy to install, easy to use. This is our second one. Had to buy new due to age difference with this last kiddo. We have the purple color. Should have just done black as the color shows her head sweat (she gets hot easily). The white piping seam is right at her head so she easily has a line in her soft skin. I wish it was lower so it'd hit at shoulder height. The sun shade doesn't stay forward with this version which is extremely annoying especially when driving and we cannot reach her to fix it. 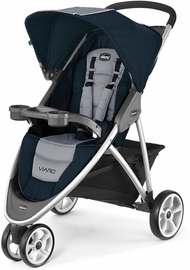 Great car seat that works well with compatible jogging strollers. Easy to install and use. I did a lot of research on car seats when I was having my first child back in 2012. I decided on the Chicco Keyfit 30.It was a perfect seat! We used it until my son was ready too long for it and it was in impeccable shape at the end of that period. We used it for our daughter born in 2014 as well until she outgrew the seat. We then gave it away to a friend in 2016, who used it for several months as we were done having children and it was still like new! Fast forward to now, we have a surprise baby on the way and while there are lots of infant car seats out there to choose from, Chicco still sits at the top of the list so I got a new one! I still had an additional base from my first son and was happy to see that although the seat has changed slightly, the base is still the same. The seat is good looking, lightweight and slim enough for me to fit it in m backseat with my other 2 children's seats. Looking forward to getting a KidFit for my oldest! Purchased this car seat for my third child, due soon. Could not have been happier with the ordering and delivery process. Product looks great. Has been installed, but not yet used! 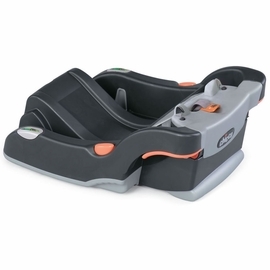 The chicco keyfit 30 really has great reviews online. Infant carseat is the first thing I bought for my baby. Albeebaby 's price is unbeatable. ProsEasy to install, very comfortable. I love the chicco keyfit 30. I used it with my son and bought this one to use with my daughter when she arrives in a few weeks. It's so easy to use, lightweight, and top rated for safety. This pattern is adorable and girly and Albee had the best price available. Very happy with my purchase. ConsOnly good to 30 lbs so if you have a large baby at birth you may not get much use from it... all our babies were under 8lbs so we were able to use for a long time. The best carseat for safety and comfort! We have been using this car seat through 2 kids now and I cannot speak highly enough about the KeyFit 30. It is easy to install, simply click the latch connecters into the car and use the super cinch strap to tighten. Chicco makes it easy for you as each strap is labeled to pull first, and then second. The car seat is snug in the vehicle with little movement. I love that Chicco colors the important moveable pieces orange, so that you will always see where things are. The infant insert is extremely helpful for my babies when they were newborns. The extra head rest piece is great and it really provides additional cushion support to the baby. The straps are easy to pull around baby's shoulders and chest and we never had an issue with the straps getting twisted or tangled. The straps come with a padding which I love as well. It is easy to tighten and loosen the seatbelt by pulling on the strap or pressing the orange button to loosen. It glides smoothly. The car seat is easily removed from the base by lifting a lever on the back side of the carseat. It also clicks into place easily. I love that it comes with a sunshade and while it could go a little bit lower, we never seemed too bothered by it. I have used this car seat in a BOB jogger, both single and double, and it fits and works perfectly. I love the bubble indicator that tells you if the car seat is level and I love that Chicco puts the weight/height limits and reminders on the side. I know I can pull out the manual but it's so nice to have a quick reference. I did a ton of research before purchasing a car seat because I knew safety was very important and I'm so glad we purchased this car seat! It has been through two kids and I would re-purchase this in a heartbeat! I love knowing that my kids are safe and secure and having a car seat that has been simple to use has been a dream! Thanks Chicco for keeping our kids safe and creating such a user friendly car seat! We have been using this car seat through 2 kids now and I cannot speak highly enough about the KeyFit 30. It is easy to install, simply click the latch connecters into the car and use the super cinch strap to tighten. Chicco makes it easy for you as each strap is labeled to pull first, and then second. The car seat is snug in the vehicle with little movement. I love that Chicco colors the important moveable pieces orange, so that you will always see where things are. The infant insert is extremely helpful for my babies when they were newborns. The extra head rest piece is great and it really provides additional cushion support to the baby. The straps are easy to pull around baby's shoulders and chest and we never had an issue with the straps getting twisted or tangled. The straps come with a padding which I love as well. It is easy to tighten and loosen the seatbelt by pulling on the strap or pressing the orange button to loosen. It glides smoothly. The car seat is easily removed from the base by lifting a lever on the back side of the carseat. It also clicks into place easily. I love that it comes with a sunshade and while it could go a little bit lower, we never seemed too bothered by it. I have used this car seat in a BOB jogger, both single and double, and it fits and works perfectly. I love the bubble indicator that tells you if the car seat is level and I love that Chicco puts the weight/height limits and reminders on the side. I know I can pull out the manual but it's so nice to have a quick reference. I did a ton of research before purchasing a car seat because I knew safety was very important and I'm so glad we purchased this car seat! It has been through two kids and I would re-purchase this in a heartbeat! I love knowing that my kids are safe and secure and having a car seat that has been simple to use has been a dream! Thanks Chicco for keeping our kids safe and creating such a user friendly car seat! This car seat has been ok for my LO. I agree with other posters that the sun shade was not effective and is annoying because we constantly pull on it and it doesn't stay in place. I also am not a big fan of the fabric, my LO always sweats in his seat. I would not buy this seat again. This seat is expensive and I expected it to be better than it has been. I love this infant carseat. It is durable and easy to use. My baby is 8 months right now and uses size 12 months and weighs 22 lbs and still fits perfect. Which makes it better since I use this carseat together w the caddy which i also love. And i have a 2in1 stroller also in my second car that also fits this carseat. We bought this with the travel system bravo stroller over a year ago. My little one is a year and a half and still fits comfortably in the car seat. Easy to clean. Easy to maneuver. Only con is the car seat is a bit heavy. But I didn't mind because it is so secure and safe. We love it. Very nice car seat. Base is easy to install and the car seat seems well built. Car seat fit perfectly in the Chicco Activ3 jogging stroller. my wife and I both think we made the right choice when we bought this great car seat. It's super easy to install and works well with the stroller it came with (Bravo)as part of a system. The sunshade does tend to collapse a little when carrying it but in a stroller configuration, it is not an issue. If you are concerned then get a car seat canopy to help keep the sun off your baby. Safety is the most important feature anyway. as part of a system. The sunshade does tend to collapse a little when carrying it but in a stroller configuration, it is not an issue. If you are concerned then get a car seat canopy to help keep the sun off your baby. Safety is the most important feature anyway. Fast delivery and Quality product! Love this car seat and how light it is compared to others, what I don't like is that the canopy never stays open as pictured on the website, it always closes and doesn't do its job of blocking out the sun, it is also very difficult to remove any stains from the fabric of the headrest, lastly the handles on both sides of the carrier are very frustrating when you're trying to put your baby in the car seat because you need both hands to move the handle and often your hands are holding your baby. I just love this seat. I have the Chicco Activ3 Jogging Stroller in the same color to match the seat. I love how it protects my son and is so easy to move it along with the base. I love Chicco products and will be upgrading his seat to a Chicco convertible. Pros- Let baby stay asleep when transferring from car to home. - Base that can easily be transferred from vehicle to vehicle with the push of a button. - Gender neutral color. The Keyfit30 is a solid pick for an infant car seat. It is so easy to install, on the light side for infant seats (more important than you might realize) and easy to adjust. A bonus is that the bases are moderately priced if you need additional bases. Theyve improved the materials since I bought mine years ago so they don't run as hot for baby. I'd give it 5 stars but it lacks things that higher end seats have such as load legs and non-retread harness height adjustment. But bang for buck, this seat is great. I had a Britax with my first child, and after converting to Chicco, I find that they are made with great quality and far easier to use and clean! I love this carseat and highly recommend it! Best infant car seat on the market! We love everything Chicco and this infant seat is no exception. Super easy to install in all of our vehicles. The seat padding washes very well and everything is easy to put back together after taking apart. I did a lot of research on which infant seat was the safest for highway driving and this was the winner hands down. Would purchase another again with no hesitation. does this car seat include the base?